Last Updated: 2019.04.13 By Adrian B. Is it difficult to install laminate flooring? … nahhh, this is very easy!!! 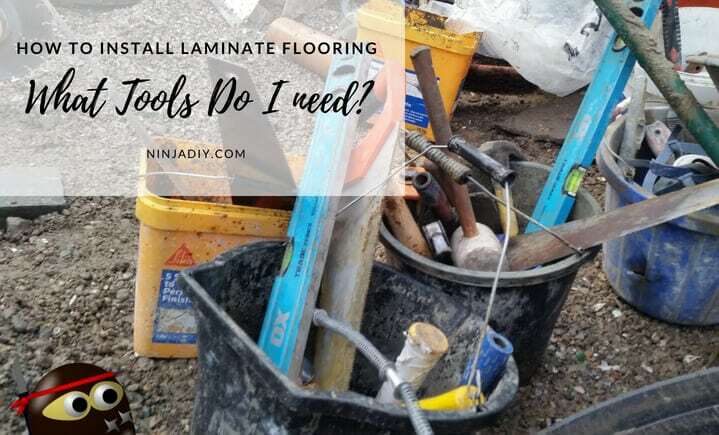 I will try to answer you to all these and MORE questions today … and make this DIY laminate flooring installation project easy and enjoyable! Then, keep reading to find out more! 1 What Tools Do I Need To Install Laminate Flooring? 2 What Materials Are Needed To Install Laminate Flooring? 3 How To Install Laminate Flooring By Yourself In These 3 Easy Steps? 6.1 Q1: How long does it take to put in laminate flooring? 6.2 Q2: What is the best direction to lay laminate flooring? 6.3 Q3: Can you nail/screw/glue down laminate flooring? 6.4 Q4: How to lay laminate flooring around doorways? 6.5 Q5: How long does it take for laminate flooring to acclimate? 6.6 Q6: How much does it cost to install laminate flooring per square foot? 6.7 Q7: What is the best laminate floor cutting tool? What Tools Do I Need To Install Laminate Flooring? NOTE: You might not have some of the most of these expensive tools listed here, but I strongly recommend to see how you can have them for this project. Maybe you have friends that can borrow you the tools for the day or maybe hire the tools. It will make a big difference in the time that you spend to do the job, it will be much quicker, and the overall quality of the finishing, it will look much better than if you have to cut your boards and other material by hand. What Materials Are Needed To Install Laminate Flooring? How To Install Laminate Flooring By Yourself In These 3 Easy Steps? 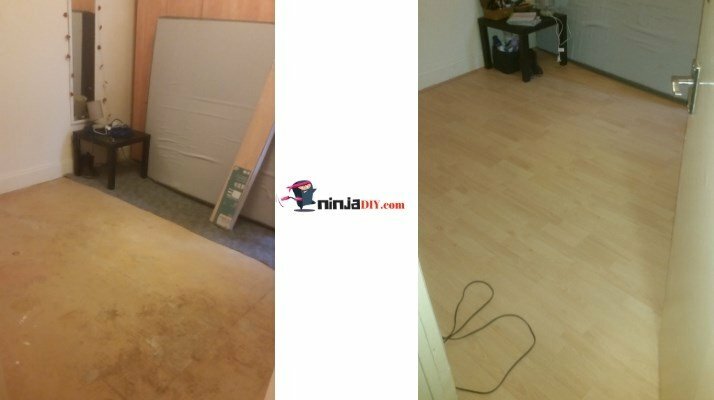 We are going to see now, an easy step by step guide that will give you a clear idea of what needs doing in order to have a nice brand new laminate flooring installed by you. We need to prepare the floor before laying the laminate boards. Make sure to clean your floor after removing the old one. You don’t want to have any kind of debris when you start laying your underlayment. You don’t want to install your nice, brand new flooring and a few months later remove it because of moisture or mold problems. I thought so … just take the time to do all these little checks. If the floor it’s not leveled you will have a hard time installing the new laminate flooring. So go around the room with a bubble level and see how the floor looks like. You can sand down the high spots in order to get it more leveled and if the floor it’s sunk in some areas you need to fill it accordingly. I’m assuming you have removed the old flooring by now. And I personally like to check at this stage if the door will close when I install the new laminate boards. Just make a quick check by placing a laminate sheet on top of a cut of the underlay underneath the door and see if the door close easily or the new floor will be too high. If it’s too high… you’ll have to take out the door and cut the bottom of it with a skill saw if you have. If not, you can do it by hand with a hand saw, but the cut it might not look very nice. Just be gentle here, in case you want to use the same material. Use the pull bar to stick it behind the skirting and remove it easily and without any damage. For this, you can do the same as we did with the door. Place a small piece of a board on top of a piece of underlying next to the door jams and make the cut at the desired height. Use a hand saw or a multi-tool to realize this cut. Checked if the door close properly? Took out the existing baseboards (skirting)? Cut off the door jambs at the desired height? If you did all of the above, that is perfect. We are now ready for the second step. How to lay laminate flooring underlay ?! …so you just need to roll it out and spread it through the room where you are going to install your new laminate flooring. Just push it all the way to the walls. Cut the underlayment as required. It doesn’t have to be precise. I usually cut a bit longer than what I need. I can cut and adjust more after I’ve laid out my boards. Some underlayment comes with tape which is nice because you can tape together the different rows of underlayment so they can stay nicely together into position as you install your boards. If yours doesn’t come with tape included, just use any kind of duct tape that you have around the house to keep the underlayment in place. Once this is done… we move on to step 3 and start to lay out some boards. Now it’s when you start to see your room changing its shape, vibrations, and flow. Totally something else. Where To Start Laying Laminate Flooring? In most cases, you will have a better-looking result if you are running the grain along with the longest wall in the room. Very important! You really need to pay attention to the edgings. And that is where the joints are meeting. They’re quite fragile and can be damaged very easily, so take your time for the first couple of rows until you get the hang of it. It should be easy, especially if you have lay and lock system flooring. How To Install The First Row Of Laminate Flooring? As I said, we start from the left of the room and we work our way to the right of the room. Note: This is the general way I install laminate flooring in each room individually, that means, we will have transition strips where different areas are coming together. If you want laminate flooring without transitions I don’t really recommend to do it yourself. It’s a bit more complicated and requires experienced personnel. We start by lining up two boards, and as you push them together, you will hear a click. That is how you will know that the boards were put together correctly. Honestly, is as simple as that! When we get to cut our first board from the first row, measure the distance between the last piece and the wall. Remember throughout the installation to push the boards close to the wall but don’t forget to keep that expansion gap of a 3/8 inch between your wall and the boards. We mark with a marker and make our cut with a jigsaw, skilsaw or whatever tool you have. When cutting the laminate with a handsaw or power tool (jigsaw, table saw, skill saw), the decorative side of the board should be facing up to minimize chipping. You will start the next row with the piece of the board that you’ve just cut. Gives you, the reader, more options! And once you did these first couples of rows … the process is the same until you get to the last row. How To Install The Last Row Of Laminate Flooring? … being the trickiest part of the whole process because there are a lot of little cuts and adjustments to be made in order to fit the last row of planks. Even a pro can have headaches sometimes with this part. Because there is not enough room for us to maneuver and push the boards or hit them with our rubber hammer. You will understand what I mean when you will get there. But don’t worry, I’ll give you a hand here. Then we take a scrap piece of a laminate plank/board and we place it this time tongue side against the wall and with a marker we create a cutting line on the whole length of the row that we have assembled. Use again your saw to perform the last cuts and that should be it. How I’m going to install the last row of laminate if I can’t rotate the planks/boards or hit them with the hammer? 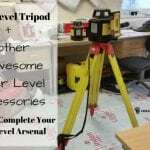 Well, remember the first section of my post where I was listing the tools that you’ll need for this DIY project? You place the plank into position and then you stick the pull bar behind the plank and start tapping with a hammer…job done! You will have better-looking results if you install your flooring parallel with the longest wall in the room. Don’t forget to leave the 3/8 inch expansion gap between the wall and the boards. We start the next row with the off-cut of the previous one. The last row can be tricky but by following the tips I’ve shared with you should be easier to do. The last thing left for you to do now is to install an aluminum cap (or any other type or transitions stripe that you might require) to divide the different floor types that you might have. It’s time to fill up any holes, sand and paint your skirting… and enjoy your new beautiful DIY laminate flooring. It’s time to put back the doors as well. This is why I actually love to install laminate flooring over any other kind of flooring … it’s easy to maintain and easy to clean. Having said that, there are some special laminate flooring cleaner products that you can use. Just make sure not to abuse the quantity of water and the product you use. Normally you just need to spray a little bit over the areas you want to clean and dry it with microfiber cleaning pad. Just mix half of cup of vinegar with 1 gallon of warm water!!! Honestly, laying laminate flooring it’s not difficult. If you do have any queries (which I’m sure you will have) please leave me a comment below and I’ll be more than happy to assist you with your project as much as I can. But before I go … I’ve promised to answer more questions. Here you have some questions that people usually ask when it comes to how to install laminate flooring. Q1: How long does it take to put in laminate flooring? A: It never took me more than 1 day … I mean, it might seem like a lot of things to do, but when it comes to actually do it … it’s not that much. In my experience, the more corners and fixtures like radiators and stuff like that the area that you want to install the laminate floor has … the longer it will take. That is where you will actually spend most of the time, in the details. But it’s easily doable in one day. Q2: What is the best direction to lay laminate flooring? Play around with the boards before deciding how you are going to install the laminate. Put together few rows and lay the laminate to give you a real-time vision of how it will look, and then make your decision. As I’ve mentioned earlier, if you want to have a laminate flooring without transitions you should not attempt to do this by yourself. This really needs expert hands, not only to do the installation itself but to give you advice on which direction should be installed as well. But if you are laying the laminate flooring one area at a time, play around with the planks/boards and see what looks better. If your area has good lighting, install the flooring parallel to the light, that will bring out the design of your laminate flooring. On the other hand, if the area it’s without natural light or very little natural light you should install the boards parallel to the largest wall in the room. In doing so you will achieve a bigger room effect. But at the end of the day … DEPENDS ON YOU, play a bit with it and decide for yourself! Q3: Can you nail/screw/glue down laminate flooring? The laminate flooring is a floating floor by design. It floats over the existing subfloor. The main reason YOU DON’T want to nail down, screw or even glue down your laminate flooring is because it’s expanding. The floor will expand more or less depending on the area that you live in, depending on the humidity on your house, etc … that is why we leave that space of 3/8 inch between the wall and the boards, for expansion. So, no, don’t nail, don’t drill any screw or glue your laminate flooring. Q4: How to lay laminate flooring around doorways? A: It is indeed one of the biggest headaches for any DIYer, especially if you haven’t done this before. But here are some tips that will help you to do this step with enough confidence. We want to install our laminate flooring underneath the door jambs, NOT AROUND IT! So in order to do that we take a piece of our laminate, we place it on top of an underlayment sheet and using a handsaw or multi-tool we cut the door jambs at the size that we want. The problem working around door jambs is that we won’t be able to lift our planks at 45 degrees in order to connect them together… so how we do it then? We apply a special glue for laminate and put the two pieces together and that is how you work around door jambs with your laminate flooring installation. Q5: How long does it take for laminate flooring to acclimate? A: This information comes on the package. It depends on the manufacturer, but usually, you should not start laying the laminate flooring before 48 hours after you have received it at your home. You should leave in the middle of the room, each box on the floor, don’t stack them up on each other, and don’t open the boxes. Just leave it to rest! Q6: How much does it cost to install laminate flooring per square foot? And so on … but I’ve found this article to be quite helpful if you live in the US. if you want to have a rough idea on how much it will cost you to install laminate flooring. Q7: What is the best laminate floor cutting tool? 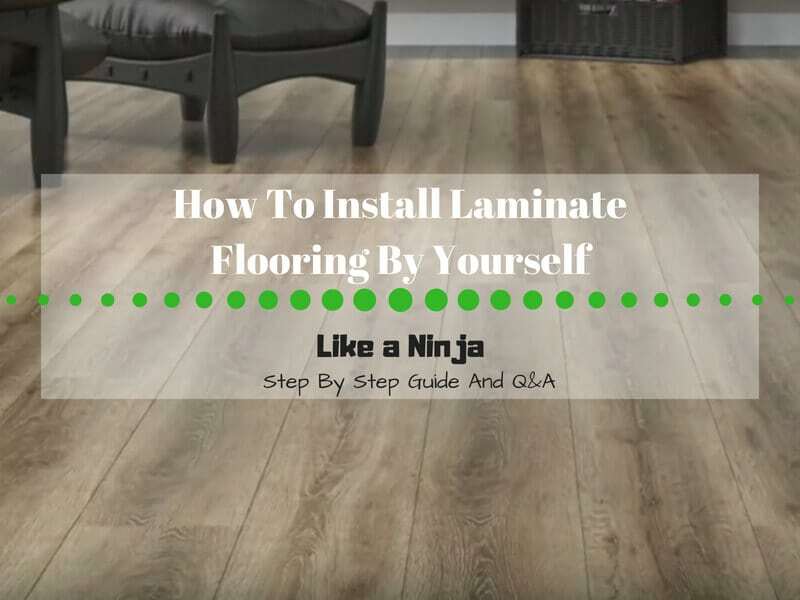 I will keep updating this article regularly, so if you think I should add something else to it, or simply have another question that is not in this how to install laminate flooring by yourself article … drop me a message and I’ll do my best to answer you! This is some really good information about laminate flooring. It is good to know that you can get flooring like this installed in 48 hours. That is great to know if you need to install flooring quickly. Yes, it’s nice to see how easy it is to install this type of flooring. One thing I’d like to mention though is that it will depend on how big the project is. So if you want to install it in only a room or two and you’re going to do it yourself then it’s doable in 48 hours, for sure. And the awesome stuff is that you don’t need TOO many tools like drills or laser levels or anything fancy or expensive in order to do this DIY! If there’s any help I can give you with that, just drop me a comment here and I’ll do my best to assist you! Such a detailed step-by-step guide, this is definetely I looked for! Very useful for beginner like me. Thanks for sharing! Thanks for stopping by man and for the comment. I’m always happy when people visiting ninjaDIY learn a thing or two about DIY or construction in general. I hope your project installing your new laminate flooring goes smoothly and if you have any questions … don’t hesitate to drop me a message. I’ll do my best to assist you. 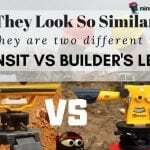 ☛ Don’t forget to check out my blog for more tricks and tips in DIY and construction tasks. This is great info !!! I love the fact that is really step by step and the Q&A at the end was really good idea. Is this guide useful for any kind of laminate installation? I hope it helped my answer as well … and talk soon!